Looking for the perfect Charleston community? Choosing where you live is a big decision. The good news is that the Charleston area has many options available to suit people of all different lifestyles. I designed this Charleston Real Estate Guide to help my homebuyers gather useful and up-to-date information about some of the more popular communities and neighborhoods within the Charleston area. As an experienced Charleston Realtor with over ten year’s experience, I know the pros and cons of each city/town and am happy to share my knowledge with you to help you find a community that suits your needs and those of your family. According to Money Magazine, the town of Mt. Pleasant is ranked as one of the best small towns in the country. The town of Mt. 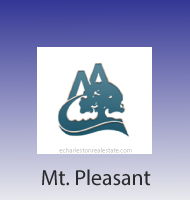 Pleasant is located only minutes from Historic Charleston, Isle of Palms, and Sullivan's Island. In the town of Mt. Pleasant, you will find some of Charleston's best neighborhoods, outdoor activities, shopping centers, and restaurants. The public schools that can be found in the area are also some of the best in the state. The town of Mt. Pleasant offers homebuyers a large number of interesting neighborhoods to choose from with properties available at a wide range of different price points. Current real estate market statistics indicate that the prices of property in this area of Charleston are currently on the rise. View homes for sale and learn more about Mt. Pleasant real estate. Daniel Island is characterized by a small-town atmosphere that appeals to retirees and families alike. Situated along the Wando and Cooper Rivers, properties on Daniel Island are less than 15 miles from Historic Charleston and 10 miles from the beaches of Sullivan's Island and Isle of Palms. This peaceful island setting offers residents wonderful outdoor activities such as WTA Family Circle Cup Tennis, Professional Charleston Battery Soccer, and PGA Web.com tour events. Daniel Island is also corporate headquarters to Blackbaud Inc. and BenefitFocus. 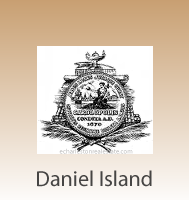 View homes for sale and learn more about Daniel Island real estate. In 2012 Conde Nast readers voted Charleston the top tourist destination in the world, but just imagine calling the "holy city" home. Charleston residents enjoy an abundance of cultural events and dining experiences; however, it is Charleston's unique charm that is the big attraction for locals and visitors alike and the Charleston Historic Preservation Society does an excellent job of protecting and preserving the beautiful homes, buildings, and natural landscapes that you can find throughout this distinctive city. 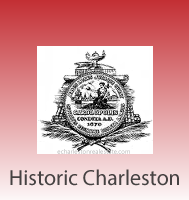 View homes for sale and learn more about Historic Charleston real estate. The Isle of Palms, often referred to by the locals as just “IOP,” is easily accessible from Mt. Pleasant. This beautiful island is just a short drive from Charlotte NC. or Atlanta, GA. The real estate market in the Isle of Palms area may be particularly appealing to second-home buyers who are looking to escape the hustle and bustle of the big city or investors who wish to offset the property’s expenses by entering the property into a rental program. The Isle of Palms' laid-back atmosphere offers its property owners the ideal vacation home or permanent residence. The town is a popular tourist destination and tourism is the area’s main source of income during the summer months. 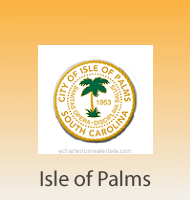 View homes for sale and learn more about Isle of Palms real estate. The town of Sullivan's Island consists of an eclectic community that is rich in U.S. history. The town has done a remarkable job of maintaining the Island’s strong heritage and natural beauty. If you are looking for a primary residence or second home in a unique beach community, Sullivan's Island is the ideal place to call home. 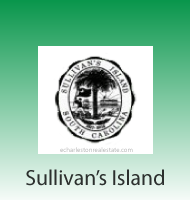 View homes for sale and learn more about Sullivan's Island real estate. Relocating is a major life event that requires careful planning and consideration. When relocating to a new town or area, it is crucial that you make sure that the community you choose fits your lifestyle. As an experienced Charleston Realtor with over ten years of experience in the Charleston real estate market, I can give you honest and objective advice regarding the best communities for your needs. I look forward to answering your questions and showing you the different neighborhoods and housing options that are available.